Reports have it that the football player is suffering from Leukaemia. He is said to have found out during his club’s routine pre season test. “It would be an understatement to say that everyone at Wolves has been shocked and saddened to hear the news of Carl’s diagnosis. both players and staff as Carl has been at the club for a very long time and remains such an integral personality within the group. 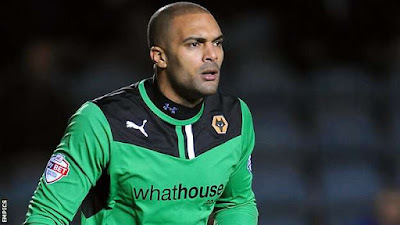 “Similarly, its goes without saying that Carl and his family will receive the full love and support that we at Wolves can provide – we are all with him every single step of the way towards a full recovery. “There are going to be some very tough times ahead, but he will receive the best possible care, aided and supported by our own club doctor and medical team, as he embarks on the lengthy process of treatment. “We are speaking to Carl regularly, and sending him our very best wishes as he comes to terms with this news and starts his recovery''.